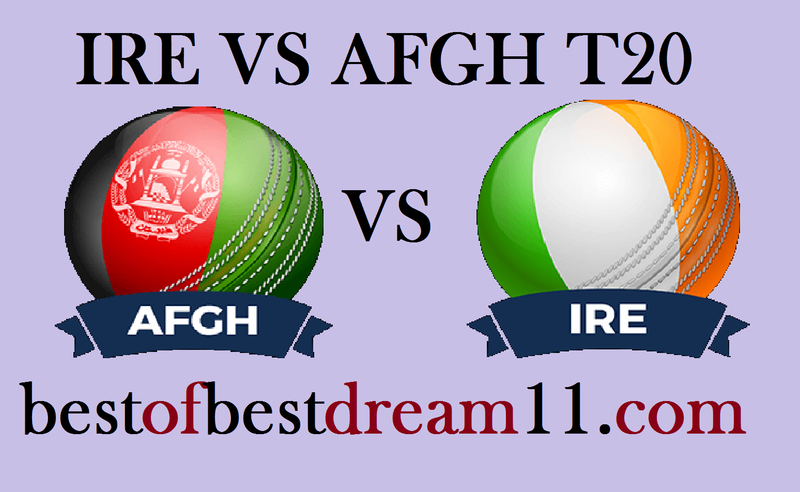 Here is best "AFGHANISTAN VS IRELAND" 3rd T20 match, Dream11 Predictions for the Fantasy user ,who venue are looking to make a strong team for maximum win. We are providing latest news, match update, information about the match .The team is picked by using various factors on the basis of performance, ground stats and latest form. By winning the first two matches of the three-match T-20 series, Afghanistan's team has made a 2-0 lead in the series.The performance of the Ireland team has also been very bad on the home turf. The previous match has lost by a big margin of 81 runs from Afghanistan. Afghanistan's team batting first scored 160 runs,in response to which Ireland's entire team was all out on 79 runs. This pitch is very helpful to the bowlers,especially the spin bowlers can be quite successful on this. For Afghanistan, Hazratullah Zazai has been the most successful batsman in this series so far,having scored 156(74+82)runs in the last two matches. Mohd Shahzad(29+1) and Asghar Stanikzai (31+38) also gave a good score to their team by playing good immimgs in the last two matches. in bowling, Rashid khan's good performance is continuously and he is proving to be very dangerous in this series too.They have taken 7 wickets in the two matches. Mujeeb Ur Rahman(5wkt) and Aftab Aalam will be also very crucial in this series. For Ireland ,Gary Wilson has struggled alone and he scored 56 runs in 2 matches. All the batsman like K O Brien,A Balbrine,P Stirling have been disappointed except William Portfield(41runs). in bowling Peter Chase(4wkt),Ranking and Simi Singh have bowled well in this series. After losing the first-Two matches,there may be some changes in the Ireland's team .